Free Shipping Included! 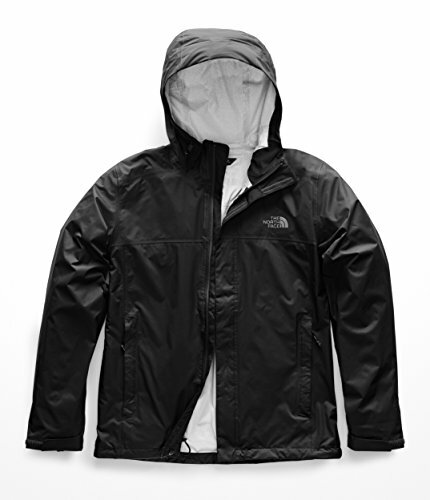 Save 1% on the The North Face Men's Venture 2 Jacket - TNF Black & TNF Black - XL by The North Face at Common Wealth. MPN: T92VD3KX7. XL. Hurry! Limited time offer. Offer valid only while supplies last. Ready for backcountry storms or everyday excursions, this waterproof, windproof hooded men's jacket is designed to protect you from rain, year round. Ready for backcountry storms or everyday excursions, this waterproof, windproof hooded men's jacket is designed to protect you from rain, year round. The breathable Dryvent 2.5L soft-shell exterior is finished with a dry-touch coating that eliminates the need for a mesh lining. Packable design compresses easily to stow into its own pocket. Open pit zips quickly vent excess heat. Attached, three-point adjustable hood. Hook-and-loop tab cuffs. Zip hand pockets. Straight hemline with adjustable drawcord. Body: 100% nylon;Lining: 100% polyester. Machine wash and tumble dry. Imported. Measurements: Length: 29 in Product measurements were taken using size MD. Please note that measurements may vary by size.